As an Executive Committee member, we suggest you have two choices. You can go down with what is a sinking ship – to use President Sepp Blatter’s favoured boating analogy. Or you can decide that enough is enough and make a stand. How? By supporting the call that we have long been advocating – for time-limited independent governance reform of FIFA led by an eminent person to review, develop and implement all aspects of FIFA’s operations including its electoral system, and to conduct fresh elections. You will be aware that FIFA’s longest-standing partner, The Coca-Cola Company, has formally requested FIFA to support such an approach. Last week the European Parliament also endorsed the course advocated by us, as has Transparency International, Avaaz and the International Trade Union Confederation. As we see it, this is your opportunity to be on the right side of history. It is your opportunity to remember the young boy or young girl you once were. It is your opportunity to think about the millions of children like that around the world who deserve to have a governing body that operates to the highest standards of democracy, transparency and accountability. It is your opportunity to think about the many more billions of fans around the world who pay their hard-earned money to see their favourite players, their favourite team, their country in action and want every part of the game – on and off-the-park – to be beyond reproach. People want change. As a custodian of the sport – not an owner – you are in a truly unique position to help make it happen. Join with Coca-Cola, the European Parliament and the growing chorus of advocacy groups who want time-limited independent reform led by an eminent person. We ask you to do the honourable thing and make this happen tomorrow. For the game, for the world. And for your place in history. 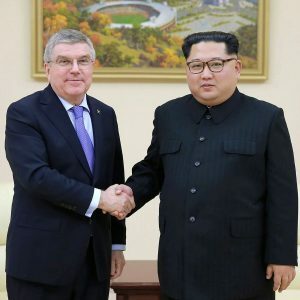 Besonders aufwändige Beiträge und derlei irre live-Blogs aus allen Ecken der Welt (demnächst aus Kuala Lumpur von der IOC-Session) sind ab sofort gegen eine kleine finanzielle Entschädigung zu haben. Das wird manchen gewiss einleuchten. 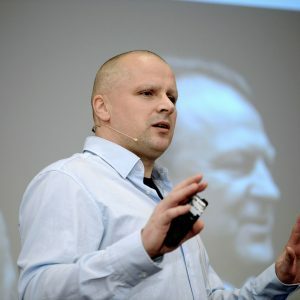 Reisen, Recherche und Expertise kosten mich eine Menge – darauf habe ich in den vergangenen Jahren, in denen ich aus etwa 25 Ländern auf sechs Kontinenten einige Male wochenlang Tag und Nacht gebloggt habe, mitunter hingewiesen. Das Blog gibt es nun auch im Abonnement – bei LaterPay (Optionen weiter unten) und im Shop. Einige Archivbeiträge tragen ebenfalls ein Preisschild. Viele Beiträge bleiben frei verfügbar, ab und an werden zusätzliche Leistungen und Dokumente als Ergänzung angeboten. Diesen Beitrag und damit das Live-Blog bis heute Nacht (ich fliege abends zurück) können Sie über den LaterPay-Button ganz oben für 1,49 Euro kaufen – unten sollte ebenfalls diese Kaufoption erscheinen, außerdem verschiedene Pässe. Die 1,49 Euro gelten drei Tage, werden dann angepasst, der Beitrag wandert danach verbilligt ins Archiv. Ich hoffe, das System funktioniert, befürchte aber Kinderkrankheiten, wofür ich mich schon mal entschuldige. 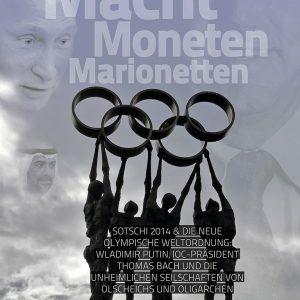 Sie wollen unabhängigen Recherchejournalismus und erstklassige Berichterstattung über die Crime Syndicates der olympischen Welt finanzieren? Als erster fuhr mir vorhin übrigens Scheich Ahmad Al-Sabah über den Weg. 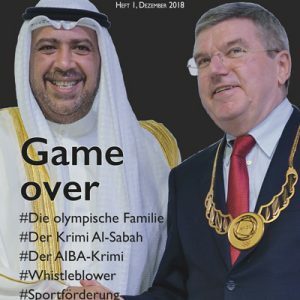 Er hatte das Fensterlein seiner schwarzen Limousine etwas geöffnet, neben ihm natürlich: sein Adlatus Husain Al-Musallam, der Journalismus-Verhinderer, der auf deutsche Medien scheißt (wörtliches Zitat). Was mich nervt und gerade etwas langweilt: Die Diskussionen über die FIFA-Präsidentschaft. Wer gestern mit wem usw usf… das sage ausgerechnet ich, der doch ständig derlei Wasserstandsmeldungen verkündet. 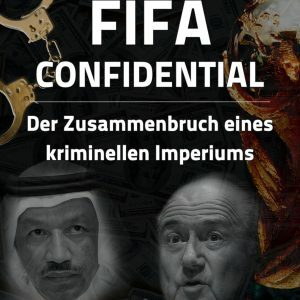 Ja, denn hier ist es ein wenig anders: Der Kampf um die Zukunft der FIFA wird höchstwahrscheinlich nicht im abhörsicheren Sitzungssaal im Untergeschoss des Home of FIFA entschieden – und auch nicht in Luxussuiten von Hotels wie dem Baur au Lac, die nicht mehr so sicher sind, weil man dort verhaftet werden kann. Viel wichtiger als die Frage, ob es der Katar-Unterstützer Michel Platini werden will und wie er sich mit dem Scheich Al-Sabah einigt, ist doch, was sich noch beim FBI, bei der Schweizer Bundesanwaltschaft, in amerikanischen Gerichten und einigen journalistischen Rechercheteams tut. Derzeit bestimmt die amerikanische Justiz die Pace. Alles andere ist zweitrangig. 13.37 Uhr: Wenige Minuten bevor Joseph Blatter mit großem Trara das nun-aber-erst-recht-FIFA-Reformpaket verkündet, könnte man mal wieder über seinen Nachfolger abstimmen – die Liste von Ende Mai müsste vielleicht ergänzt werden. Any thoughts? Wer soll Nachfolger von Kim Il-Blatter als FIFA-Präsident werden? 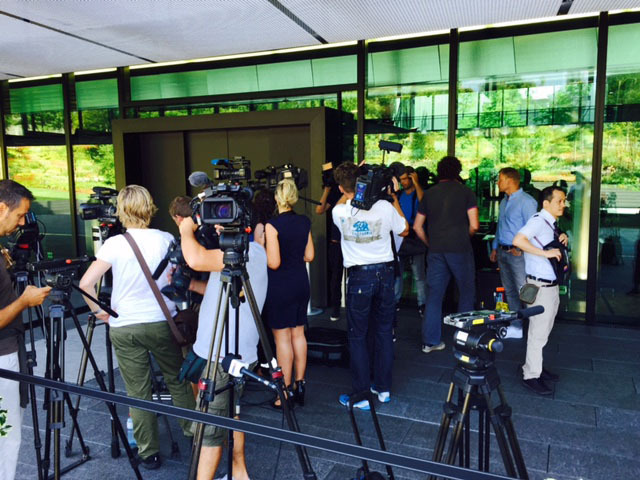 14.10 Uhr: Pressekonferenz wurde (natürlich) eine Stunde verschoben. 15 Uhr. Neuwahl am 26. Februar 2016. 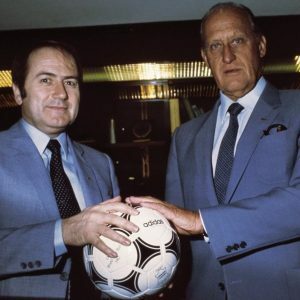 Zwei Wochen später wird Sepp Blatter 80. 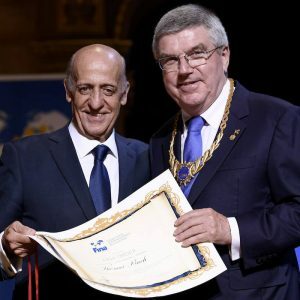 Mit 80 muss er das IOC verlassen, dessen Mitglied er in seiner Eigenschaft als FIFA-Präsident ex officio ist. Aber bis Februar kann noch viel passieren. Sehr viel. Oder besser: Es wird viel passieren. Habe es schon gesagt: Die Pace wird nicht mehr im Home of FIFA gemacht. 15.09 Uhr: Die meisten deutschen Journalisten warten draußen auf Wolfgang Niersbach. Ein Kollege schneidet für mich mit. Etliche Exko-Mitglieder sitzen in den hinteren Reihen des Auditoriums, das fast voll ist. Blatters Propaganda-Knechte machen Stimmung und bearbeiten, wie immer, Journalisten. 15.22 Uhr: Jetzt geht es richtig los. Es soll ganz schnell gehen, aber Sepp ist so gnädig und akzeptiert einige Fragen. Nur einige, sagt sein neuer (alter) Presseherold Nicolas Maingot. Zu den US-Ermittlungen kann sich der Sepp natürlich nicht äußern. Und der Lügen-Generalsekretär Valcke ist schon dort, wo er sich sicher fühlen darf und Sepp auch gleich hinfliegt: Russland, St. Petersburg. Sepp sagt, er fühle sich wohl unter Medienleuten. Ich sage es immer wieder gern, auch wenn es den Präsidenten des Sportjournalisten-Weltverbandes AIPS zur Weißglut bringt: Sepp ist Ehrenmitglied der AIPS, Havelange ebenfalls. Geldscheine verstreuen wie es Brodkin gerade getan hat, sei „Mangel an Bildung“, sagt der Sepp. Er fühlt sich ganz sicher. Und siehe, natürlich erwähnt er seine AIPS-Mitgliedschaft. # Important decisions – a new president will be elected. # Today we have done something else. The meeting can be compared top a congress. We have taken very important decisions. We have a resolution that we want to go again into reform process. OMG. Und noch eine Task Force. 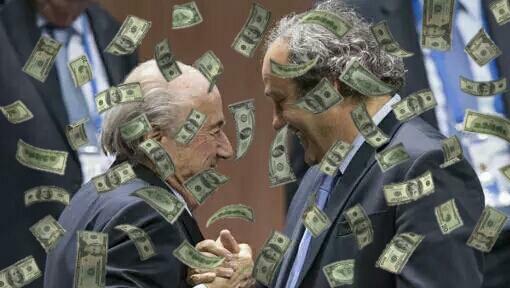 Blatter mit Sprachspielchen. Macht er immer, wenn es ihm zu gut geht. Alles, was er jetzt sagt, hat er schon tausendmal gesagt. Chaired by FIFA President Blatter, the Executive Committee today pushed for a range of important reforms to be submitted for decision to the upcoming extraordinary Congress, underlining FIFA’s commitment to better governance and greater accountability. 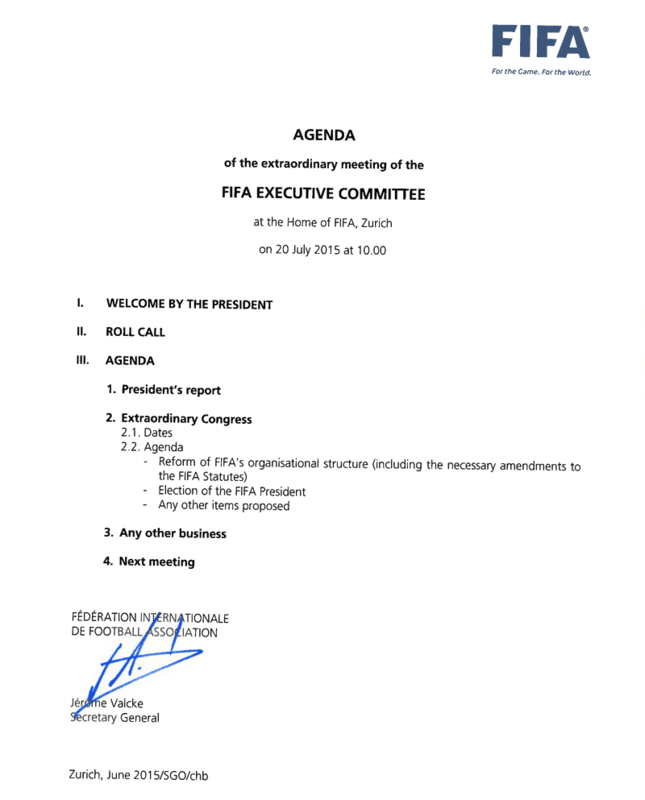 They also decided that this Congress will take place in Zurich on 26 February 2016, when a new FIFA President will be elected. The reform topics proposed include enhanced centralized integrity checks for Executive Committee members, the introduction of term limits, higher standards of governance at all levels of football structures including confederations and member associations as well as individual disclosure of compensation. The members welcomed the presentation on reforms delivered by Domenico Scala, independent chairman of the Audit and Compliance Committee. The Executive Committee, supported by the confederations, reiterated its unity and stated its firm commitment to reforms. The executive also stressed its full cooperation with the on-going US and Swiss investigations. To further strengthen this reform process, it was decided to set up a specific FIFA Task Force “Reforms” to be chaired by a neutral chairman who should be appointed in consultation with the confederations’ presidents. This Task Force will be composed of two representatives of each of the AFC, CAF, CONCACAF and UEFA, as well as of one representative from each of CONMEBOL and the OFC. 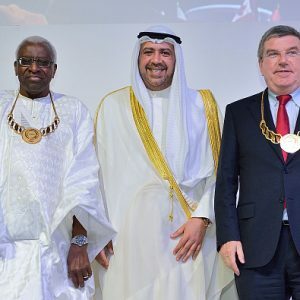 Concrete and comprehensive reform proposals should be elaborated for presentation at the next ordinary FIFA Executive Committee meeting, scheduled to be held in Zurich on 24 and 25 September 2015, and thereafter submitted for approval at the extraordinary Congress. One major change had already been agreed by the Executive Committee at the last ordinary meeting on 26 May 2015, with the revised bidding regulations for future FIFA World Cups. As a result, future bids will have to meet a number of important additional criteria. In particular, FIFA will recognise the provisions of the UN Guiding Principles on Business and Human Rights and will make it compulsory for both contractual partners and those within the supply chain to comply with these provisions. Furthermore, the bidding documents were also elaborated using guidance of the United Nations’ strategy for “Safeguarding against Corruption in Major Public Events”. Furthermore, during the meeting, the Executive Committee decided to call for elections and initiated the electoral period with the formal installation of the Ad-hoc Electoral Committee. In accordance with the Electoral Regulations, the committee will consist of the chairman of the FIFA Disciplinary Committee (Claudio Sulser), the chairman of the FIFA Appeal Committee (Larry Mussenden) and the chairman of the FIFA Audit and Compliance Committee (Domenico Scala). This committee will convene for its first meeting on Tuesday, 21 July, to agree on its chairman amongst other matters. As such, as of today candidates can now declare their interest in running for the office of FIFA President. Given that the extraordinary elective Congress will take place on 26 February 2016, the deadline for submission of candidates for the office of FIFA President must take place in writing, together with the declarations of support of at least five members (cf. art. 24 par. 1 of the FIFA Statutes), by 26 October 2015 at the latest. For further details on the election process, please refer to the FAQ document on FIFA.com. Furthermore, Djimrabaye Bourngar from Chad has been appointed as the deputy chairman of the investigatory chamber of the FIFA Ethics Committee until the 66th FIFA Congress in 2016. Finally, the Executive Committee wished to stress that for the current FIFA activities such as the preparations for the upcoming events, it is important that all operational activities continue to be carried out as planned in order to protect the stability and the future of the organisation. 15.41 Uhr: Alles wird anders. Nur sein Einkommen will er (immer noch) nicht nennen. Ach ja, und er kann nicht verantwortlich dafür gemacht werden, dass Exko-Mitglieder (und andere) sich bereichern, die er nicht gewählt hat. 15.46 Uhr: Jetzt geht es wieder (und zurecht) gegen die UEFA, die 2013/2014 mit Niersbachs Unterschrift etliche Regeländerungen abgelehnt hat, die man heute okay findet. I will not be a candidate for the presidential election. Als Radioreporter will er sich übrigens auf Geopolitik konzentrieren. Und jetzt spricht er, natürlich, über Gefühle, Hoffnung und Frieden! Bis später vom Flughafen und daheim. 20.07 Uhr: Habe einen Text für SpOn geschrieben, aber eigentlich noch keinen Gedanken gefühlt, dieses absurde Theater ansprechend zu verarbeiten. 20.45 Uhr: Schon im Flieger: was ich heute vermisst habe? Kommentare. Oder kann man kommentieren, ohne gekauft zu haben? Hoffe, technisch hat es soweit geklappt. Nachmittags war noch ein Problem offen, als jemand trotz Kaufs keinen Zugriff hatte. Meine Optionen sind leider fast Null. Mehr ab 23 Uhr von daheim. Eigentlich ein tritt in das richtige Körperteil, Dich zu unterstützen – dieses LaterPay. Bin aber ein wenig verwirrt – nach Kauf eines Jahrespasses, trotzdem noch die Buttons, dass ich jetzt alles einzeln kaufen soll. Schätze, dass ist normal? Irgends die Info, ob ich eingeloggt bin oder ob ich etwas sehen kann, was andere nicht sehen. Nicht direkt selbsterklärend. Vielleicht einen kleinen Artikel dazu anlegen, wo sich die Kommentare zum Thema sammeln könnten? Steffen, ich lege einen Beitrag an (Q & A zu Bezahlsystemen im Blog: LaterPay, Shop, PayPal etc) und würde Deinen Kommentar da rein kopieren, wenn es okay ist? Werde den Beitrag gut sichtbar verlinken – im Menü und vielleicht noch in einer der Sidebars. An dem Beitrag wird weiter gearbeitet, er wird ergänzt, verbessert etc. LaterPay informiere ich und schicke auch Deine Frage. Die waren heute ziemlich flink und haben sich gekümmert. Ich kann den Artikel jetzt gar nicht mehr lesen. Wenn ich normal über meinen Bookmark auf die Seite hier komme und den Artikel wähle, bekomme ich (mit aktiviertem Wochenpass) nur das Laterpay-Overlay aber ohne die Kaufoptionen. @ Marco: Auch das leite ich gleich weiter. Hat alles nichts mit Einstellungen zu tun, die ich beeinflussen könnte. Meine Optionen tendieren da gegen Null. Ist in Arbeit. Ich habe keinerlei Angaben zu Käufern, Abonnenten. Kann also nichts überprüfen. Aber wie unter #3 und #6 erwähnt, habe ich alle Beschwerden/Anmerkungen an LaterPay weiter geleitet. Die haben eine Empfehlung gegeben, die der Maschinist cf gerade überdenkt. Wenn das umgesetzt ist, dann kommt auch das FAQ – und ich hoffe, auch Dein Problem hat sich damit erledigt. Nochmals: Wer jetzt und künftig ein Problem mit LaterPay hat, melde sich bitte bei mir. Hier bzw in den künftigen FAQ/Q&A, gern zusätzlich per Email, das macht es mir leichter. Ich kann dann auch mit Gutscheinen u.ä. operieren, um einen Ausgleich für das Ärgernis zu schaffen. Interessant! Konnte heute das erste mal den kompletten Artikel sehen. Hatte mittlerweile tatsächlich gedacht, nach dem „Nur zu!“ ist Ende. Das nur für die (X)-Akten. Während AFP gerade meldet, dass sich das „FIFA-ETHIK“ Komitee trifft um über Blatter/Platini zu beraten, was auch immer es zu beraten gibt und ein anderer dubioser Präsidentschaftskandidat einen Dead President Walking verklagen will, mahlen die US-Justiz Mühlen langsam. Der Discovery-Prozess ist angelaufen, zumindest bei einem Angeklagten ist die Frist zur Prozesseröffnung ausgesetzt. Daneben läuft ein Verfahren, dass für die weitere Aufarbeitung nicht unerheblich sein kann. Die US-Bundesanwaltschaft kann ihre Zuständigkeit unter anderem damit begründen, dass die RICO-Statuten keine territoriale Beschränkung haben, da die zugrunde liegenden Tatbestände keine territoriale Beschränkung haben. Damit würde sie einem Urteil des Berufungsgerichts für den zweiten Bundesbezirk (New York) folgen. Gegen dieses Urteil ist vor dem Obersten Gerichtshof der USA Revision eingelegt worden. Letzte Woche wurde die Revision zugelassen. Die mündliche Verhandlung findet spätestens Ende März statt, das Urteil liegt dann bis Ende Juni vor. Die Fragestellung des Gerichts ist die Reichweite des RICO-Statuts. Die Interpretation des New Yorker Berufungsgerichts ist sehr weit und ein Ausreißer. Die Mehrheit der Gerichte definiert die RICO-Statuten als nur auf die USA anwendbar und folgt damit dem Trend, die globale Anwendung von US-Recht zu beschränken. Die Kern-Aussage ist, wenn ein Statut keine eindeutige Aussage zur globalen Anwendung trifft, ist er nicht global anwendbar. Relevant für die FIFA-Untersuchung ist es dann, wenn für RICO-Vergehen andere Verjährungsfristen gelten, als für „einzelne“ Vergehen.